The daughter of a British diplomat, Tessa Arlen lived in or visited Singapore, Berlin, the Persian Gulf, Beijing, Delhi and Warsaw by the time she was sixteen. 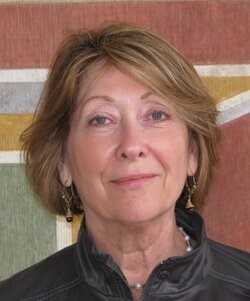 She came to the U.S. in 1980 and worked as an H.R. recruiter for the 1984 Olympic Games in Los Angeles, where she interviewed her future husband for a job. 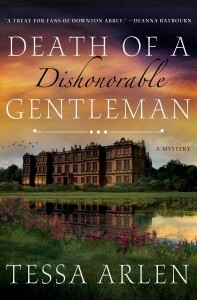 Death of a Dishonorable Gentleman (2015) is Arlen's first novel. Library Journal's review of the book reads: "Readers of this debut set in Edwardian England will feel as though they've stepped into an episode of Downton Abbey, complete with murder and intrigue upstairs and downstairs… Incorporating exquisite period detail into her well-mannered mystery, Arlen offers readers an engaging peek into the lives of upper and lower classes of early 1900s England combined with a little history interspersed.” For more information about Tessa Arlen go to http://www.tessaarlen.com/.